Thorner: 10 years later, how true is Al Gore’s ‘An Inconvenient Truth’? 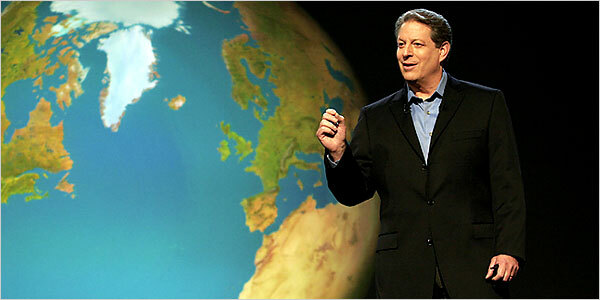 This year marks the 10th anniversary of Al Gore’s Oscar-winning documentary, An Inconvenient Truth. The documentary was a critical and box-office success here in the U.S., but not so much in the U.K. In 2007 a High Court ruling in Great Britain found that Gore’s documentary on climate change contained key scientific errors and breached education law, making it unacceptable for viewing by students. “Representing partisan political views,” the film could only legally be shown if accompanied by a warning about political indoctrination. After the film’s debut, public’s awareness about global warming increased and the “green” movement surged. Since then, many corporations have gotten on board the Global Warming Band Wagon to exploit and profit from what has now become (falsely) an indisputable fact to many Americans: The Earth is dangerously warming and man is to blame. Climate alarmists warn that unless drastic steps are taken to curb global warming, Mother Earth will suffer grave consequences 100 or so years into the future. This despite a recent article that reports how tens of thousands of scientists have declared that human-driven global climate change is a hoax. Joe Bast, president of The Heartland Institute, opened the program with a brief historical account of the organization. 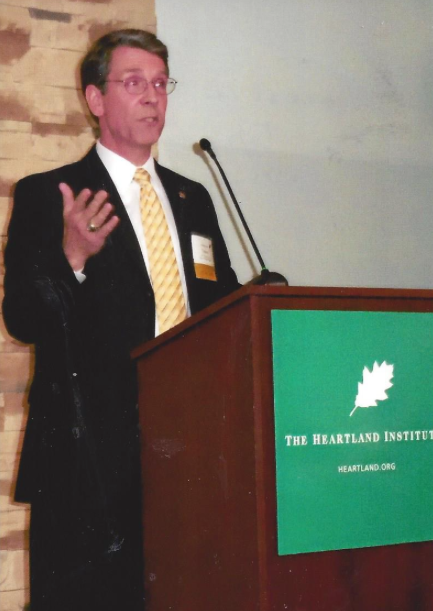 Heartland was co-founded by Joe Bast in 1984 and was located in downtown Chicago until about 14 months ago, when its headquarters moved to Arlington Heights. 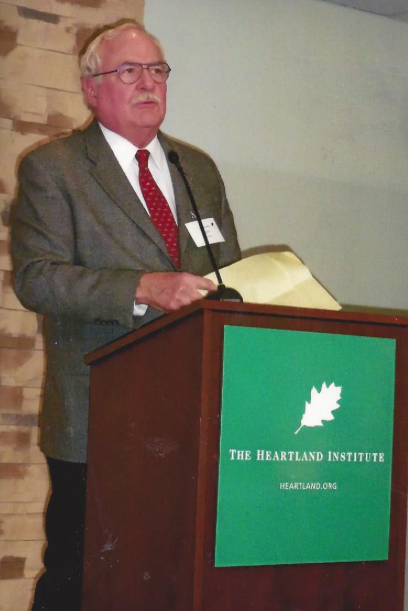 In sync with informing attendees that the anticipated Denning-Lehr debate would deal with the causes and consequences of global warming, Mr. Bast promoted a Heartland book that was for sale at the event and can also be purchased at this site, Why Scientists Disagree About Global Warming. Bast related how Denning has debated twice before when invited to attend Heartland’s International Conferences Climate Change. Few individuals have the courage to accept invitations to debate because their views about global warming don’t generally reflect those held by conference attendees, nor are they compatible with the views advanced by The Heartland Institute in its many published scientific journals and publications. Bast set forth the following debate rules: 1) Denning and Lehr would each receive time for a 5-minute initial presentation. 2) After the five minute presentations, six film clips would be shown on screen from An Inconvenient Truth and be evaluated for validity and substance. 3) Following the evaluation of the six film clips, Denning and Lehr would be given five minutes to clarify or add to their argument positions. 4) A question and answer session would end the program. Professor Denning had mixed feeling about the 10-year-old documentary and was surprised that the movie was not exactly as he had remembered it to be when viewing again in preparation for his Heartland appearance. Although surprised that the film had aged fairly well, Denning said he disagreed with the film mostly on emphasis rather than the accuracy of the movie. Simple – Heat in, heat out equals climate change. This is why heat into water changes the temperature. The same is true for cold in/cold out and why winter is predictable every year. Serious – Less than 10 percent of fossil fuel has been burnt. Should we burn the other 90 percent? Economists predict that should 10 times more fossil fuel be burnt, there would be a 25 percent reduction in the size of our economy (GPD) by 2100. Solvable – This nation is lucky that the problem is solvable. We already have technology available so we don’t have to burn 10 times more fossil fuel. The life we enjoy comes from us. To solve the problem it will take courage to try solutions based on the free market. Lehr noted that carbon dioxide (CO2) is a wonderful thing. Plants love it. There is no evidence that man is altering the weather. What does impact the weather? Clouds impact the weather. And the sun is never given enough credit. Temperature can be measured through the carbon dating of ice cores which show temperature cycles ranging about 1,500 years in length. An increase in CO2 doesn’t cause warming, rather greater concentrations of CO2 in the atmosphere follows warming. Al Gore claims: Most of the outgoing infrared radiation is trapped by the thin layer of atmosphere that is being thickened by global warming “pollution,” so the atmosphere heats up. Denning: It is the amount of heat that goes in, relative to the amount of heat that goes out, that causes changes of temperature (Heat in minus heat out equals change of heat.) Likewise, it is the amount of cold that goes in, relative to the amount of cold that goes out, that changes temperature. This accounts for why every year winter is colder than summer and why nights are cooler than days. Change of heat is measured in the laboratory with the CO2 that is present. Lehr: As indicated in the film clip, carbon dioxide does absorb some of the heat radiated back into the atmosphere by the earth. Water vapor absorbs 95 percent of it, but CO2 absorbs some, but only that which is in a wave length of 15 microns, which is like 10 to the minus 17 exponent. This measurement is extremely fine. The atmosphere is already saturated with the 15 micron wavelength of heat radiated from the earth, so any additional carbon dioxide will have no 15 micron wavelength to absorb. The carbon dioxide in the atmosphere is 90 percent full of what it can absorb and 95 percent of greenhouse gas is water vapor of which 97 percent is contributed by oceans and decaying vegetation. Only 3 percent of global CO2 comes from man. For this tiny amount there is a push to change the economy of this world! Lehr: There is nothing we can do about it. Bleaching is a natural outcome, and Lehr described concern about the Great Barrier Reef as fear mongering. Bleaching has occurred in a small portion of the reef, but an underwater survey of the 1,000 mile long reef shows that it is thriving; there is no more bleaching than was present 20 years ago. Denning: Claimed that about one-third of the coral reef is now bleached, although Denning admitted that the biggest damage from global warming was not about the health of the coral reef but about a decline in the economy. According to Denning, replacing fossil fuels would reduce the Global GDP by 1 percent over the next few human generations. This is a far cry from the 25 percent reduction that he said economists estimate if 10 times more fossil is burnt than we burn today. Part 2 will continue where Part 1 left off. Denning and Lehr debate the final four clips from Al Gore’s movie: 3) Melting ice will cause low-lying cities to disappear; 4) Polar bears are endangered because ice is their habitat; 4) Can this nation rise above itself and history to solve global warming? ; 6) Global warming is casing rapid melting of ice on top Mt. Kilimanjaro in Africa. 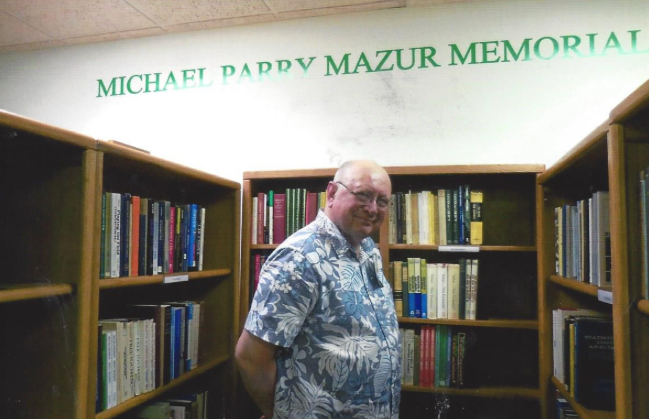 The Michael Parry Mazur Memorial Library at the Heartland Institute’s new facility in Arlington Heights celebrated its grand opening on Wednesday, May 4, 2016. A wine and cheese reception and library tours were offered before the main program began and continued after the formal program ended. The Michael Parry Mazur Memorial Library, referred to as “The Library of Liberty,” holds nearly 10,000 books on education, environment, healthcare, and other topics. This collection will be of special interest to students and scholars studying economics, public policy, and political science, elected officials and members of their staffs, and concerned citizens. Eight colleges are located within a 20-minute drive of the Heartland Institute, and 20 more are within an hour’s drive. The library contains some out-of-print books and journals unlikely to be found in public or university libraries. Featured authors include William F. Buckley, Whittaker Chambers, Milton Friedman, Friedrich Hayek, Ludwig von Mises, Ayn Rand, Murray Rothbard, and Richard Weaver. A wish list includes the complete works of Hayek, James Buchanan, and George Orwell. 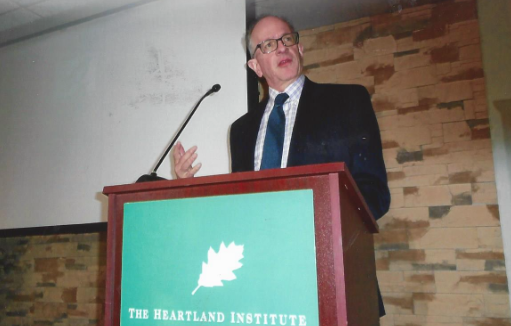 Mr. Bast assured attendees that when books are donated to The Heartland Institute they will be put on shelves so people have the use of them and they will not disappear. It is true that the Internet can be searched for information, but on-line information can be deleted and altered to serve a purpose other than the truth. Also, there is so much information on-line that it is difficult to locate the good stuff, in contrast to a library where the complete works of an author can be immediately viewed. Printed books, unlike an online entry, cannot be edited, and a library becomes a physical place where people can come together without fear. Mr. Bast said he hopes to see a steady stream of people in and out of the building to review the books on site, and take them home when the library is ready for lending sometime in the near future. So let your friends know about it. Upcoming events https://www.heartland.org/events/ at The Heartland Institute include three free movie nights with screenings of the recent Atlas Shrugged movies – parts one, two, and three. In 1957, Ayn Rand introduced the world to a new kind of hero, molded from the best within man, a hero who exemplified the joy of individual achievement. With passion and conviction, Atlas Shrugged speaks to the hero in all of us. Join Heartland and fellow lovers of liberty for this special series of Heartland Movie Nights, in which each part of the trilogy will be shown on three Wednesdays in a row. Ongoing today in this nation is a full court press to convince the public that everybody knows that a catastrophic global warming looms over us, that human beings are the cause of it, and that the only solution is to turn more money and power over to the government to stop us from our dangerous ways of living. The earth can be either warm or cool and has done both at one time or another for thousands of years, even before there were SUVs. Had there never been any global warming in the past, enjoying a visit to Yosemite Valley today would be impossible as it was once buried under thousands of feet of ice. Forty-five years ago in the 1970’s, the environmental hysteria was all about the dangers of a new ice age. This hysteria was spread by many of the same individuals who are promoting today’s hysteria about global warming. Today the far the political left’s favorite argument is that there is no argument, that science is settled, despite the cooling trend in the 70’s and now the absence of any warming for 17 years and 10 months. Radical environmentalist Al Gore believes that disasters around the world can only be avoided by imposing a new form of authoritarian government. Democracy is dismissed as a model that can sustain the world. How then do climate alarmists like Al Gore explain the following discrepancy? Progress on the environmental front has been steady over the last half century without the transformative agenda now being proposed and enacted by President Obama to save the planet. To President Obama climate change policies represent an important plank of his political agenda, one that Obama wants noted as an important presidential legacy achievement. Obama unequivocally accepts the claims made by climate change alarmists that are set forth by the United Nations Intergovernmental Panel on Climate Change (IPCC). He is not at all hesitant to bash what he calls “climate deniers” and their obstruction by daring to debate science behind man-made global warming. So it was on Friday, May 9, in a speech at a California Wal-Mart that Obama once again proclaimed “climate change as a fact” and that climate change skeptics are wasting everybody’s time on a settled debate. Heartland’s ten award recipients, all global warming skeptics accorded by President Obama as climate deniers, are but representative of countless of scientists who are routinely shunned by politically correct universities and scientific societies by simply speaking truth to power. Climate skeptics or deniers often take great risks regarding their personal safety and their professional careers, which have cost them the promotions and rewards they might have otherwise received from their peers. Government money falls on those who seek grants to study global warming and then produce solutions for it. That money is not likely to fall on skeptic in the scientific community who refuse to join the global warming stamped. The awards delivered at Heartland’s conference were sponsored by eight organizations. Their purpose was to give long-overdue recognition and encouragement to the recipients, increase public awareness of the global warming realism movement, and send a signal to the academy and other elite institutions saying if they won’t recognize our heroes, The Heartland Institute will. All of the ICCC9 videos can be viewed at this site. “Speaks Truth to Power Award” to Dr. Patrick Moore, an internationally renowned ecologist and environmentalist who began his career as an activist/leader in the Greenpeace movement. “Frederick Seitz Memorial Award” to Dr. Sherwood Idso, president of the Center for the Study of Carbon Dioxide and Global Change, and the world’s leading authority on the effects of carbon dioxide on plants. “Outstanding Spokesperson on Faith, Science, and Stewardship Award” to Dr. E. Cavin Beisner a theologian, historian and national spokesman for The Cornwall Alliance for the Stewardship of Creation and author or co-author of several major papers and articles on global warming produced by the Cornwall Alliance. “Outstanding Evangelical Climate Scientist Award” to Dr. Roy W. Spencer, a former Senior Scientist for Climate Studies at NASA’s Marshall Space Flight Center where he and Dr. John Christy received NASA’s Exceptional Scientific Achievement Medal for their global temperature monitoring work with satellites. Dr. Spencer has made no secret of his evangelical faith. “Excellence in Climate Science Communication Award” to Tom Harris, the founder and executive director of the International Climate Science Coalition, a non-partisan group of independent scientists, economists, and energy and policy experts who are working to promote better understanding of climate science and policy worldwide. “Courage in Defense of Science Award” to Dr. Willie Soon, who as an astrophysicist and a geoscientist he is a leading authority on the relationship between solar phenomena and global climate. His discoveries challenge computer modelers and advocates who consistently underestimate solar influences on cloud formation, ocean currents, and wind that cause climate change. “Climate Science Whistleblower Award” to Dr. Alan Carlin, now retired, who was a career environmental economist at EPA when the Competitive Enterprise Institute broke the story of his negative report on the agency’s proposal to regulate greenhouse gases in June, 2009. Dr. Carlin’s supervisor had ordered him to keep quiet about the report and to stop working on global warming issues. Surprise Heartland Award: “Dauntless Purveyor of Climate Truth Award” to Viscount Monckton of Brenchley (Lord Christopher Monckton) who has for years been crisscrossing the globe sharing the inconvenient truths about global warming. Known as the high priest of climate skepticism, Lord Monckton advised Prime Minister Margaret Thatcher. Monckton has attended United Nations conferences since the Rio Conference in 1991, during which time steps have been taken to create what is in effect a world government. He urged conference attendees to write their congressmen and senators, telling them to press for the inclusion of an escape clause in the Treaty of Paris that will permit any State to resign from its obligations by giving a few months’ notice. In that way, as the world continues to fail to warm anything like as fast as predicted, nations can break free from the regime of terror by stealth that has been furtively planned. It is worth noting that Dr. Art Robinson, as the internationally respected scientist that he is, is running in Oregon Congressional District 4 against Democrat Peter DeFazio, who cast one of the four deciding votes for Obamacare after telling Oregonians he would vote against it. This is Art Robinson’s third attempt to defeat Democrat Peter DeFazio, the first attempt being in 2010. Robinson wants to restore sorely needed common sense in Washington, D.C. He is not afraid to speak up publicly on behalf of sound science and common sense. May he encourage others to follow the same course of action in the political arena. Robinson’s book, Common Sense in 2012, although published and distributed in 2012, is just as relevant to the problems this nation is facing today as it was two years ago. 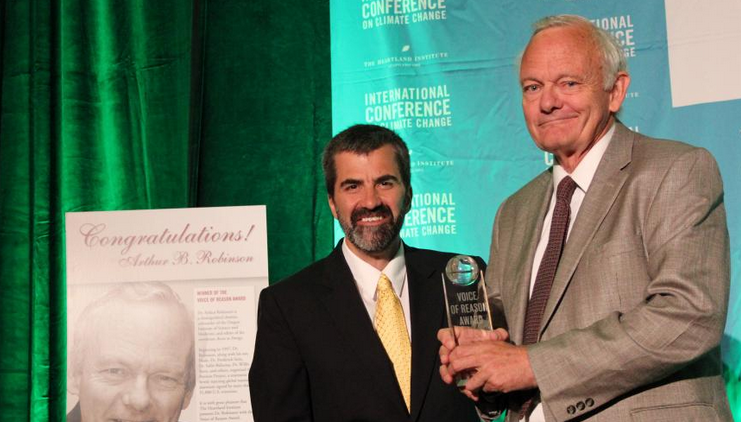 This is your chance to get behind candidate Art Robinson, Ph.D., one of the ten distinguished award winners at Heartland’s Ninth International Conference on Climate Change. Send an outstanding scientist to Congress in November. His “Voice of Reason Award” should serve him well in his role as a U.S. Congressman on the Chamber floor. It’s easy to understand how participants would benefit by giving them more options, but schools likewise benefit. 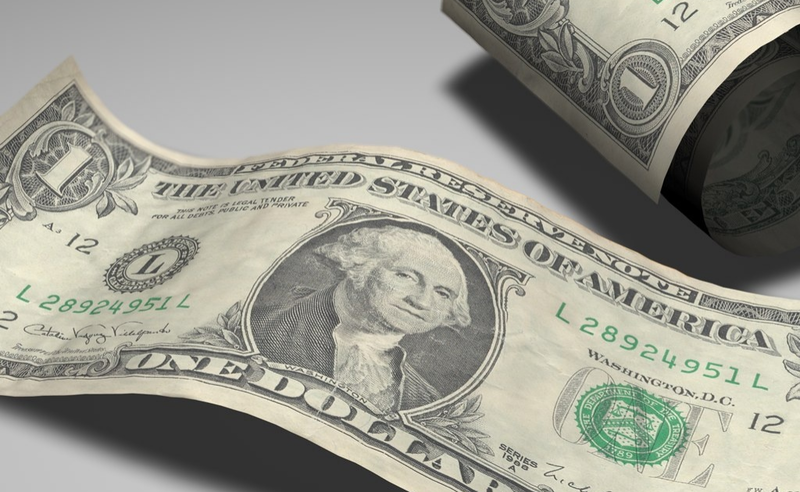 Vouchers introduce healthy incentives for public schools to improve. Forster’s 2011 report indicates how 11 out of the 12 gold-standard studies on school choice found that choice improves student outcomes; the other study found neither a negative nor positive impact (Friedman Foundation for Educational Excellence, April 2013). Chicago’s celebration of School Choice Week was commemorated at a joint venture held by The Heartland Institute and the Illinois Policy Institute at an evening event on Thursday, January 30, at the headquarters of The Heartland Institute, One South Wacker Drive #2740. Joe Bast is President and CEO of The Heartland Institute. John Tillman heads the Illinois Policy Institute as its CEO. Moderator was Bruno Behrend, Senior fellow for education policy, The Heartland Institute. Members of the panel were Joseph Bast, Heartland’s president; Tom Morrison, Illinois State Representative (R-54); and Ted Dabrowski, Vice President of Policy, Illinois Policy Institute. All have expertise in education policy. Teacher burn out does happen. Burned out teachers who remain in the teaching profession, lured to stay by generous pension, do just as well in their teaching as do younger and more enthusiastic teachers. How so? The really talented teacher leave the teaching profession to work in other fields, leaving in its wake the burned out teachers. Being intrigued and interested in the announced topic, Why do we have such a big immigration mess?, I immediately registered to attend Heartland’s speaker series featuring Henryk A. Kowalczyk in a talk about immigration on Wednesday, October 2nd. 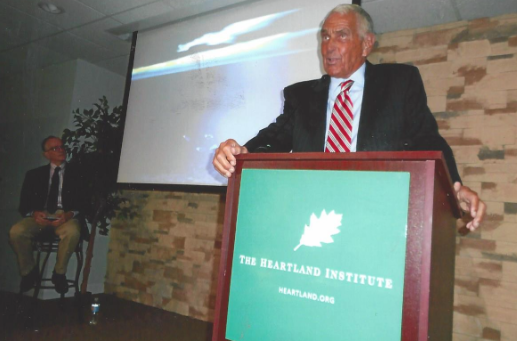 Henryk Kowalczyk first spoke at Heartland’s anniversary benefit dinner in 2008, at which time guests participated in a heated debate about immigration. A vote was taken and was split almost evenly between supporters and opponents of illegal immigrants and immigration. Now five years later, the issue is still front and center. About Mr. Kowalczyk, he was born in Poland but now lives in Chicago as a naturalized citizen. Introduced by Joe Bast, president of the Heartland Institute, Mr. Kowalczyk explained how as an engineer and a business man he looked for solutions to problems, but to do so it was essential to understand the problem first. Within minutes into Kowalczyk’s talk, I could perceive that his views were not of my own nor of my liking, which was likewise the tenor of a few of the comments made by others at the conclusion of the event. At first I thought Mr. Kwwalczyk was approaching the issue of immigration as a Libertarian, but I quickly dismissed this viewpoint. Libertarians argue from the first principle of Human Rights, believe they are Inherent regardless of what country someone lives in. Therefore, to a libertarian, the right to emigrate or immigrate is a basic human right. Henryk definitely did not embrace this concept. He believes we should put a price tag on immigrating to the U.S., which is really a conservative position even if he favors more people entering the country. Might this make Mr. Kowalczyk a pro-immigration conservative? Read on to decide for yourself. Freedom of speech is so important to uphold. Kudos to The Heartland Institute, as a leading free market think tank, for inviting Kowalczyk to speak, knowing that his remarks would be scrutinized and questioned! Mr. Kowalczyk was warned beforehand of the reception he would most likely receive in front of Heartland members and friend, but this didn’t deter him from accepting Heartland’s invitation. According to Henryk Kowalczyk our thinking about immigration is based upon and tainted by 1) xenophobia, 2) on having Socialistic tendencies, and 3) on the failure to practice deliberation democracy. Capitalism, as defined by Kowalczyk, was where everyone had the same freedom to pursue their particular interest, while with Socialism there was a need for a society to collectively work to come up with better ideas for the good of a society. What followed was a discussion by Kowalczyk of mistakes made a hundred years ago in the treatment of new arrivals. Never corrected, they now weigh heavily on today’s immigration problems. Before 1924 new arrivals were mostly unfettered Europeans, only white, in search of new opportunities and freedom of movement in looking for jobs. The scouts came first, bringing their families over later. Many of the new immigrants settled west of the Mississippi where limited friction did develop between the new arrivals and those who had already undergone urbanization. The 1850’s saw the rise of anti-Irish sentiment. Anti-German sentiment followed. The Chinese Exclusion Act of 1882 was aimed at controlling the influx of Chinese immigrants who had arrived to work on railroads. The arrival of the 20th century brought with it a large influx of individuals with pronounced cultural differences. With this trend followed a dramatic change in the nature of society. An intense dislike for each new ethnic group setting foot in America became common place. Especially evident was the rise of anti-Semitism which developed side-by-side with the widely held belief of eugenics, which deduced that Jews were inferior and had a negative effect on society. It made no difference that Jewish enrollment in colleges in the East totaled 20 percent of all new admissions. With the rise Hitler and the use of eugenics by his administration to create a superior race of people, the movement lost all of its steam in the U.S. and was quickly abandoned by the elites. Critical in creating the immigration mess of today, according to Henryk Kowalczyk, was the Gentleman’s Agreement of 1907, and the formation in the same year of the Dillingham Commission (1907-1911) in response to the growing political concerns about immigration in the U.S. The Dillingham Commission decided that immigration from southern and eastern Europe posed a serious threat to American society. This determination prompted The Emergency Quota Act of 1921 which instead favored immigration from northern and western Europe. Eight years later, in 1929, the National Origins Act set the annual immigration ceiling annually at 150,000 which allocated northern and western Europeans 85% of all the places. Asian immigration were barred altogether. How the mindset of the American people and the actions of politicians were influenced by xenophobia, Socialism, and deliberation during the first decades of the 20th century in regard to immigration policy, Mr. Kowalczvk tied all together in the following ways. Concerning xenophobia, The laws enacted, as described in the two previous paragraphs, set forth immigration quotas and further classified people from one area more desirable to fill the existing quotas slots than from others areas of the world. Regarding Socialism, pointed out by Kowalczyk was that this ideology had achieved recognition while gaining a foothold in this nation during the first decade of so the 20th century, bringing with it the idea that the U.S. was superior to other countries. Accordingly, this nation had the right to decide those who could enter the country. An example given of socialistic behavior at the time was alcohol prohibition from 1920-1933 under the guise that a central government by its actions could shape society. As far as the inability of the American people to practice deliberate democracy, Kowalczyk asked what the consequences were of limiting new arrivals in relation to the Law of 1924 (The Johnson-Reed Act)? It was the first time politicians had added a price tag to be in the U.S.
An environment was created for the black market. The negative aspects didn’t show up immediately because of WW II and the prosperity it generated. Going forward in years to 1952, although the immigration part remained essentially the same with the upholding of the national origins quota system, the Naturalization Act of 1952 removed the stigma against Asians from being able to become naturalized American citizens. Also introduced was a system of preferences based on skill and family reunification, Vetoed by the Truman White House, Congress overrode the veto. The Immigration and Nationality Act of 1965, was signed by President Lyndon Johnson. This act opened up chain-family-sponsored immigration. It also leveled the immigration playing field by giving a nearly equal shot to newcomers from every corner of the world. By so doing it also changed the face of America with immigration now being viewed as a gift that wealthy nations of the world should offer to the very poor. No longer was immigration seen as part of our economy. The 2006 Kennedy-McCain Comprehensive immigration Reform Act of 2006 went no where. Jumping ahead to 2012, the so-called partisan Gang-of-Eight Senate bill is presently stalled and under fire over the issue of whether the border should be secured first before amnesty is granted with only the promise of border security. In Kowalczyk’s estimation, the 2012 Senate proposal is based on upside down logic because it fails to meet our nation’s economic needs by bringing in as many foreign workers needed. Regarding President Obama’s DREAM Act Executive Order, Kowalczyk was in favor of it because it offered much needed development relief and education opportunities to alien minorities. According to Kowalczyk, some human treatment was finally being offered young people. Any opposition to what the Dream Act granted exhibited proof of the continued presence of xenophobia in this nation. Foreign born, including both illegal and legal, make up only 13% of this nation’s total population. The doubling of the percentage in the last 30 years has given rise to anti-immigrant sentiment. In Canada the number of foreign born is 20%. Canada has a higher GPD than does the U.S. Kowalczyk attributes this to Canada’s higher immigrant population and thus concludes that this nation would benefit by having a larger percentage of immigrants. Out of a population of 350 million in the U.S., illegal immigrants at 11 million account for only 3.49% of the population. Kowalczyk believes that this percentage wouldn’t go any higher even if we allowed more illegal immigrants to enter the U.S., as this is all our U.S. labor market is in need of. Like it or not, Mr. Kowalczyk believes that we must acknowledge that more immigrants are needed. For those critics who say that illegals are taking jobs away from the American people this is not true, as many of this nation’s jobs have moved either overseas and to other countries. For those critics who say that big business benefits mostly from illegal immigrant workers, this is not true. With more people working for a living more wealth is created. Critics are also incorrect when they say that the source of all our nation’s problems is allowing illegal to work in this country. Regarding high skilled labor, Kowalczyk does admit that engineers brought over from other countries do work for less, but it is the fault or our nation’s colleges in failing to produce engineers and scientists in sufficient number to fill our nation’s requirements. As far as the current immigration impasse, Mr.Kowalczyk relates it to the fact that 55% of the American people want fewer immigrants than we now have. Most legislators do objectively realize that this nation needs more immigrants, but they haven’t the guts to confront their voters and tell them they are wrong. As far as not enforcing our laws? The law is meant to protect particular interests. It is not to be decided in accordance to moral values. A moral dilemma facing law enforcers and enforcement has become the criminalization of illegal immigrants. By using government to restrict the flow of illegal immigrants, Kowalczyk warns that Socialist behavior is being employed which didn’t work anywhere else before in the world, and it won’t work here and now. My comment expressed openly at the Heartland event at the completion of Henryk Kowalczyk’s talk: I don’t believe anything you said! I then went on to tell Mr. Kowalczyk why. It was only when leaving early to catch a train back home, that Kowalczyk showed a slide he had omitted during his talk because of time restrictions that offered some thoughts I could agree with — if the border were first closed — although I’m still in disagreement with Kowalczyk’s open border concept and that we need more immigrants for the sake of our economy. Furthermore, why is treating illegal immigrants as a social issue dead wrong? Mr. Kowalczyk’s proposal of several years in the making is defined under his The Freedom of Migration Act. Although Kowalczyk admits that his concept is far away from what most Americans think about immigration and that he could be completely wrong, he further states, if most Americans were right we would not have an immigration crisis either. The only way that a foreigner could settle in the USA should be by finding employment here. Private employment agencies should, for a fee, manage the recruitment of foreigners, background checking, issuing ID cards, and keeping record of their employment. During the first 5 years of living in the USA, an alien worker should not be entitled to any social benefits available to citizens and permanent residents. Political refugees and other individuals admitted to the U.S. for humanitarian reasons should be assisted by private charitable organizations to register as alien workers and then follow the same path as all other foreigners settling here. Foreigners which are rich enough to live here without working should be allowed to do so. After staying in the USA for five years, a foreign worker, his or her spouse, or minor children should be entitled to obtain a status of the permanent resident, opening the venue to the citizenship. All of Henryk Kowalczyk’s proposals sound good and are reasonable steps to follow should amnesty be granted to 11 million aliens. Being a bit of a skeptic, I don’t believe either party would follow through with any restrictions or requirements placed on aliens in the long run if and when amnesty is granted. Why? Because both sides of the aisle are wooing the Hispanic vote, seemingly indifferent to the issue of security where terrorists, along with illegal immigrants, are crossing our porous southern border. On September 24th The Heartland Institute held its final conference call in a series of exclusive Tuesday noon (CT) calls previewing Climate Change Reconsidered II: Physical Science. This Nongovernmental International Panel on Climate Change (NIPCC) report resulted from a collaboration among three organizations — Science & Environmental Policy Project, Center for the Study of Carbon Dioxide and Global Change, and The Heartland Institute. Presented by The Heartland Institute Tuesday, September 17th, the NIPCC report was co-authored and co-edited by Craig D. Idso, Robert M. Carter, and S. Fred Singer. The report represents the most comprehensive and up-to-date review of climate science available from scientists. Free of the bias caused by political interference, Climate Change II provides the scientific balance that is missing from alarmist reports released over the years by the United Nation’s sponsored Intergovernmental Panel on Climate (IPCC), which is highly selective in their reviews of climate science and controversial with regard to projections on future climate change. Although the United Nation’s report was leaked last week, its official release will happen today, Friday, September 26th. The report is sure to provoke climate policy battles as the White House parries GOP efforts to block planned carbon emissions rules on power plants and curbing other administration plans to reduce the level of atmospheric CO2. Expect there also to be renunciations and repercussions directed against the NIPCC September 17th report, and especially The Heartland Institute, who was called by the Economist on May 26, 2012: The World’s most prominent think tank promoting skepticism about man-made climate change. NIPCC will be highly criticized and disputed in the weeks ahead by those who accept the IPCC United Nation’s AR5 report as settled science. Attempts will be made to sully The Heartland Institution and its fine world-wide reputation. In anticipation of today, the Heartland telephone conference call, with expert Dr. Robert M. Carter, did serve as a prelude to the findings promoted in the U.N. IPCC report. Without a doubt the report will be embraced by the mainstream media beginning today and will target man as the bully by filling the atmosphere with CO2. You have to pity the UN. The climate events of 2013 has been one of the most devastating to the UN’s political narrative on global warming. Both poles have expanding ice, with the Antarctic breaking all time records, global temperatures have failed to rise for 15 plus years, global cooling has occurred since 2002, polar bear numbers are increasing, wildfire’s are well below normal, sea level rise is failing to accelerate, tornadoes are at record lows, hurricanes are at record low activity, Gore’s organization is flailing and losing donors amid layoffs, former climate believers like Judith Curry are growing more skeptical by the day. I doubt many will be frightened by the UN IPCC, simply a political body masquerading as a scientific group. The thrill is gone. Below is a compilation of thoughts expressed by Dr. Carter during his presentation and during question and answer time. Shared is how scientists responsible for the UN IPCC and Heartland’s NIPCC reports, even when exploring the same issues, arrived at conflicting opinions. 1. The charting of temperature is relatively new with a history of only 150 years. This amounts to 5 data cycles of 30 years each. Although thermometers are good for charting short term temperature, they fail in the long term. 2. The way scientists work is by having ideas that form a hypothesis. The hypothesis of the United Nation’s-sponsored IPCC is that global warming is man-made and that CO2 is the responsible agent. Accordingly, IPCC scientists look for and examine data that supports a hypothesis that man-made global warming is happening and will result in catastrophic happenings on Mother Earth unless checked. Science, however, does not progress by proving a set hypotheses. Reports are fine, but they must do more than just examine facts that fit a preconceived narrative. After all, we do live on a dynamic planet. A “null” or alternative hypothesis was set up by NIPCC scientists for the purpose of determining whether global warming was based on natural factors (outside sources) rather than CO2 emissions. In so doing, scientists at the NIPCC concluded that outside natural factors were responsible for any changes that might be occurring and not an increase of CO2 in the atmosphere. 3. The released draft of the United Nation’s AR5 IPCC report has toned down predictions from those reported in its 2007 AR4 report. AR5 now concedes that in many areas the global warming fear is not quite as alarming as it was when its former report was issued in 2007. The IPCC specifically admitted that the warming trend from 1998 – 2012 was smaller than any trend since 1951. There would seem to be lots of backtracking that must be done in light of today’s report to explain such a pronounceddifference between the 2007 and 2013 IPCC reports. There is this one sentence, however, that the IPCC hopes the public will latch on to. The AR5 report cites a 95% probability that human activities — chiefly the burning of fossil fuels — are the main cause of warming since the 1950s, while in the 2007 report the probability of human action as the cause was assessed 5 points lower at 90%. How could there exist a toning down of alarm over man-made global warming in the current AR5 report, when in the same report IPCC scientists have raised the certainty level of man-made global to 95%, a five percentage point increase over the probability level in the 2007 IPCC report? The selected probability level of 95% in today’s AR5 report was not in any way based on facts. The 95% “probability” represents what IPCC scientists think will happen. It is the opinion of IPCC scientists that there will be more storm and severe weather of all sorts in the future, so up goes the probability level. This projection of opinion could be called “hocus-pocus” science. Scientists talked their way up to 95%. It’s not based on statistical evidence, just a certainty that temperatures will rise with no real data to back up. 4. According to Heartland’s NIPCC report here hasn’t been a rise in the ocean temperature since 2003, which contradicts the rise in temperature called for by the IPCC hypothesis. Noted was that only since 2003 has there been a sufficient amount of data on which to measure ocean temperature, and this data is based on only 1/3 of one climate data point of 30 years. Data used prior to 2003 is highly suspect. In measuring the amount of greenhouse gas in the ocean, neither in the ocean or in the atmosphere has there been an increase of temperature for the last 15 years or so. This despite an 8% increase of CO2 in the atmosphere during the same time. The Ocean Heat Content measurement starting 10 years ago became much more objective with automated sampling systems which furthermore systematically surveyed layers of the ocean down to 700 meters. Prior to this point the surveying was using both less systematic and not consistent methods. 5. While the UN IPCC hypothesis indicates that CO2 increases before any temperature change occurs, NIPCC peer review studies and research take the opposite view that CO2 levels occur after and not before temperature change. The discrepancy exists because of faulty climate models used by IPCC in its predictions. Research in Antarctica shows CO2 following temperature by a few hundred years at most. 6. The UN IPCC tries to explain away the observation that the temperature has been flat for the past 16 years by the fact that there has been less volcanic activity. There have been no major eruptions over the last 20 – 50 years. Major volcanic eruptions inject high amount of CO2 into the atmosphere; it stays in the atmosphere from 1-1/2 to 2 years. Because of less volcanic activity, less CO2 has been injected into the the atmosphere to form a protective shield to prevent heat from reaching the earth. As heat from the sun should be reaching earth because the C02 protective shield is less dense, it makes no sense for the IPCC to use less volcanic action as the reason global warming hasn’t happened in16 years as predicted by its models. Even so the IPCC continues to say with a 95% probability that global warming is happening. 7. To a question asked of Dr. Carter about how to deal with contradictory media reports which support the IPCC hypothesis that carbon sequestration is called for and other drastic measures to reduce CO2 in the atmosphere, Carter expressed being uncomfortable in answering political question, although he did relate how cracks are starting to form in the carbon catching process. The recent Australian election resulted in a climate disaster and talk of abolishing the carbon tax. Dr. Carter was hopeful that a new administration would follow the lead of Australia and Norway. Obvious is that the IPCC and the NIPCC have a vastly different hypotheses on how to handle or treat science. IPCC treats global warming by collecting facts telling them that cyclones, tornadoes, hurricane and droughts are increasing due to global warming, when they have not. Good science doesn’t go out looking for facts to support a hypothesis, but instead looks for data that proves a “null” hypothesis such as was used used by NIPCC scientists. As related by Joe Bast, CEO and president of The Heartland Institute, the NIPCC report is not on the fringe. It represents the consensus of many scientists based on peer review studies. On Friday, September 26, the public will have the opportunity to see the truth as presented in the NIPCC report, in contrast to the opinions arrived at by IPCC report scientists. On Wednesday, September 18, Fox News ran a special two-hour program hosted by Brett Baier that covered a wide range of topics, including The Heartland Institute’s release of the Nongovernmental International Panel of Climate Change (NIPCC) report, Climate Change Reconsidered II: Physical Science, a massive 1,018-page report explaining why global warming is not a crisis. I searched the media for reports following the news conference, but could find none. That’s certainly not surprising in a city where the media unconditionally supports Global Warming and refuses to give the “other” side the time of day, as the Chicago-based Heartland Institute has experienced time and again over the years. Fox News Chicago was the one shining light — the exception — and a most welcome one. 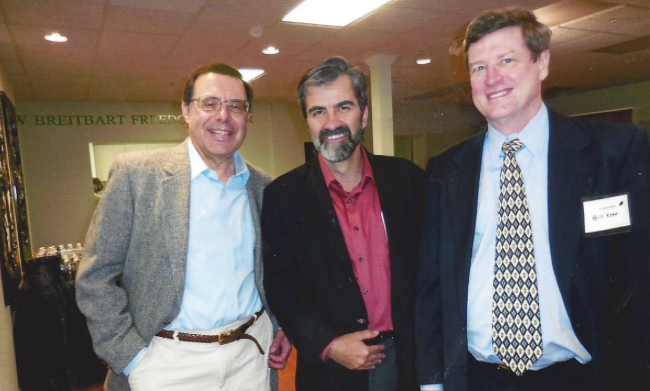 Featured on the Fox News two-hour special was footage videotaped in Fox’s Chicago studio of Dr. Willie Soon, astrophysicist and geoscientist and lead author for CCR II, and Joe Bast, president of The Heartland Institute. The clip is posted on YouTube. Joseph Bast and Dr Willie Soon left a special luncheon in progress at the headquarters of The Heartland Institute to share their remarks at the Fox Chicago studio. Other notable scientists speaking at the luncheon but not traveling to Fox’s studio were Dr. S. Fred Singer, Director of the Science and Environmental Policy Project and a lead author and editor of CCR II, and Dr. Craig D. Idso, chairman of the Center for the Study of Carbon Dioxide and Global Change, likewise a lead author and editor of CCR II. It was fitting that the Fox News account of a hearing held by House Republicans and attended by the Obama Administration’s chief Climate Change people, served as a perfect segue into the comments made by Joe Bast and Dr. Soon about the NIPCC report release. Even as the world await the release of the IPCC AR5 report next week in Stockholm, Sweden (195 governments fund the IPCC), and despite a leaked draft of the report where “top climate scientists” have admitted that their global warming forecasts are wrong and the world is not heating up at the rate previously reported, the IPCC still insists that it is more confident than ever – 95% certain — that global warming is mainly human’s fault and that C02 is the culprit.